At Catchfire Creative, we pride ourselves on taking a fresh, fun and innovative approach to our work. When presented with the opportunity to work with Maine Squeeze, we wanted to press our creative thinking to the next-level. 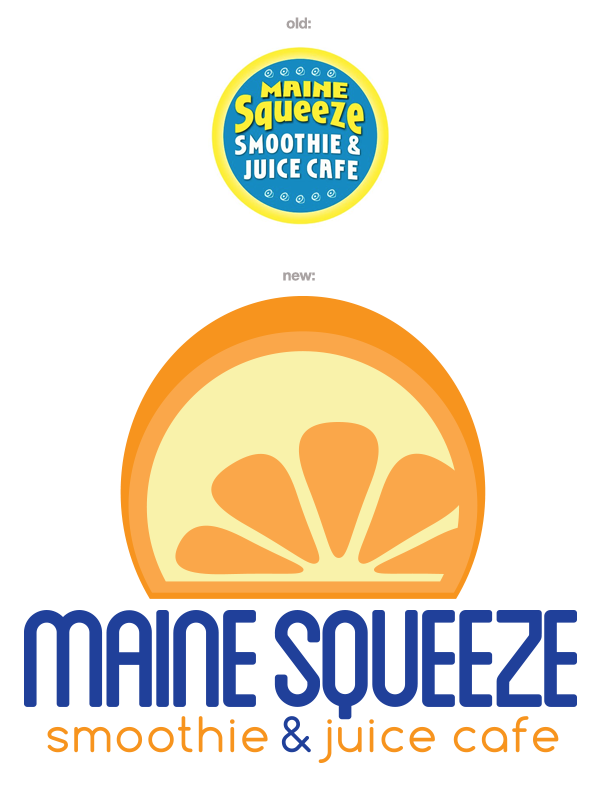 Maine Squeeze has never struggled in serving up quality products and a one-of-a-kind experience to its customers. Through its vibrant and centrally located stores in Portland, ME, Maine Squeeze has never struggled to build a base of loyal customers – at least in person. Our mission for this project was to help make the brand and website manifest the magic that Maine Squeeze stands for – fresh, local, delicious and fun! Naturally, we started with the brand. •Create an environment that can grow as Maine Squeeze grows – and they certainly are, they are opening a third location in Kittery! Still thirsty? 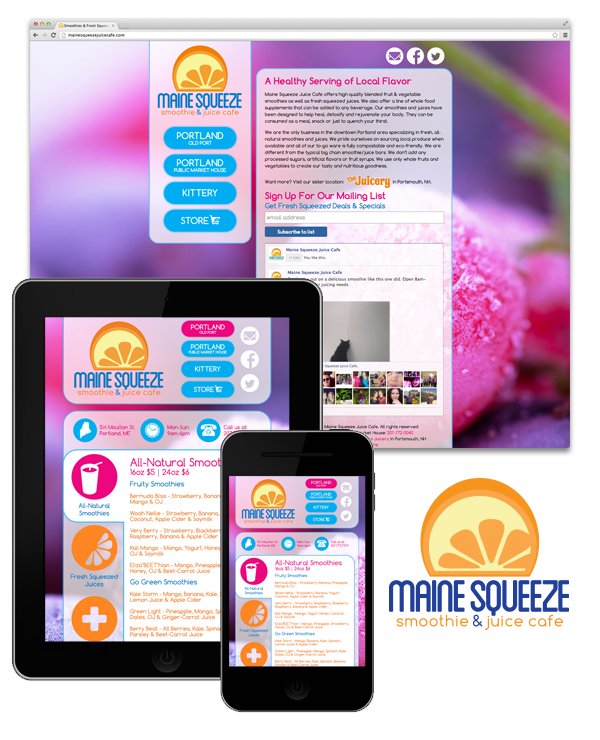 We are working on the rebranding and website for Maine Squeeze’s sister location, The Juicery in Portsmouth. Stay tuned!